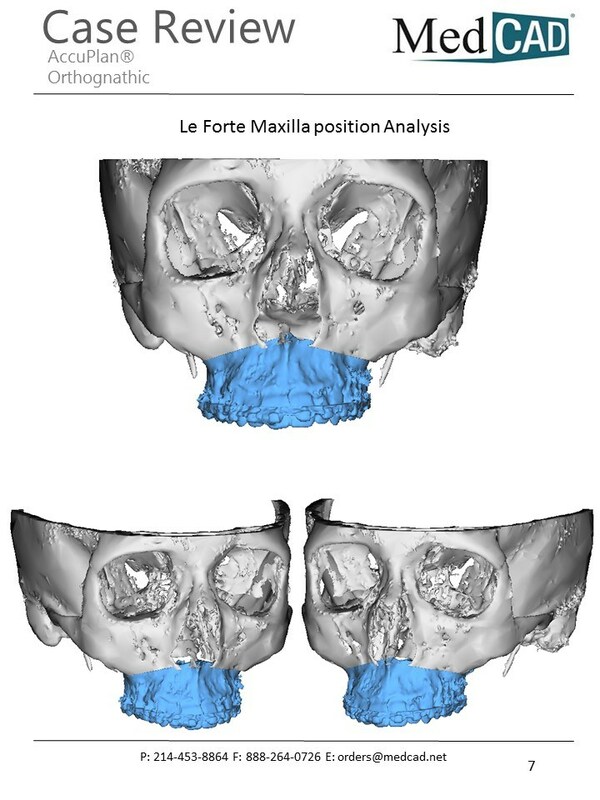 Design for patient-specific surgical plans and devices originate with patient data such as a CT scan and stone models. 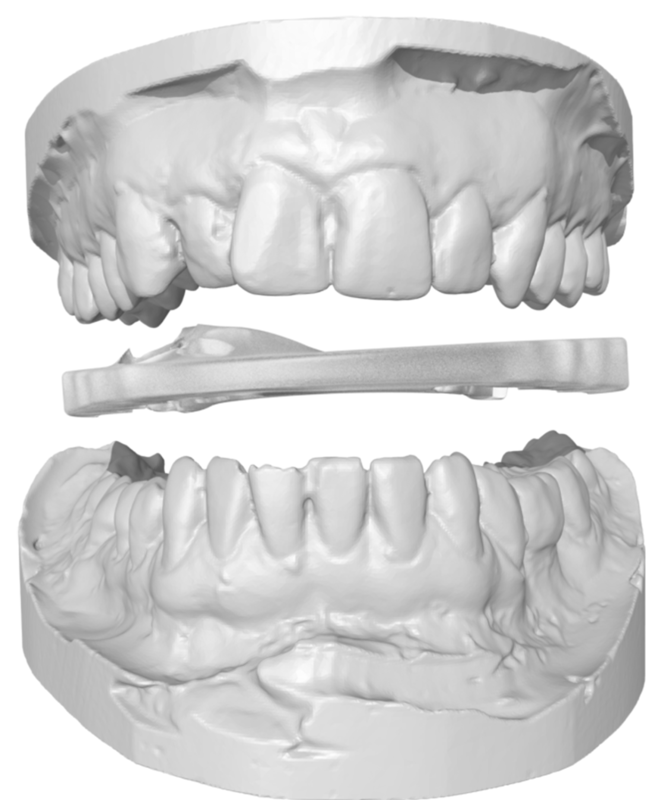 With surgeon input, MedCAD clinical designers provide a customized solution for a specific patient using 3D representations of their data. 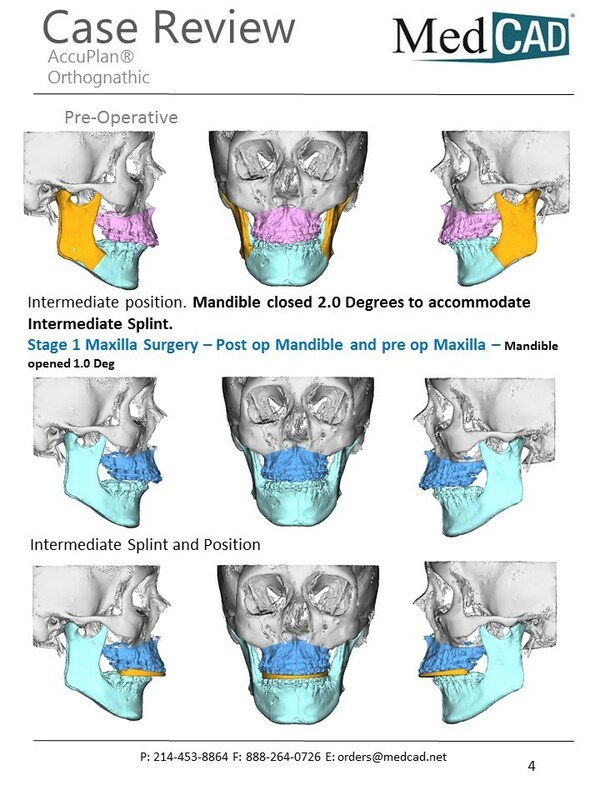 Utilize combinations of intermediate, final, palatal, or sandwich splints for Le Forte I, II, and III procedures. 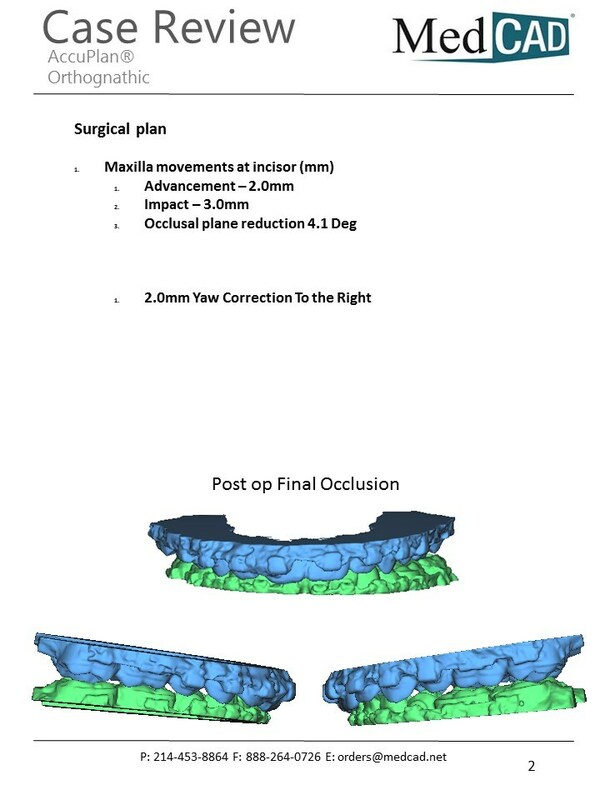 Planning a surgery pre-operatively assists the surgeon in considering variables and choosing a more direct path of action. Patient-specific services help standard surgical plans achieve calculated results. Preparation by virtual planning can increase surgeon and patient confidence, reduce time in the OR, and aid in patient education. 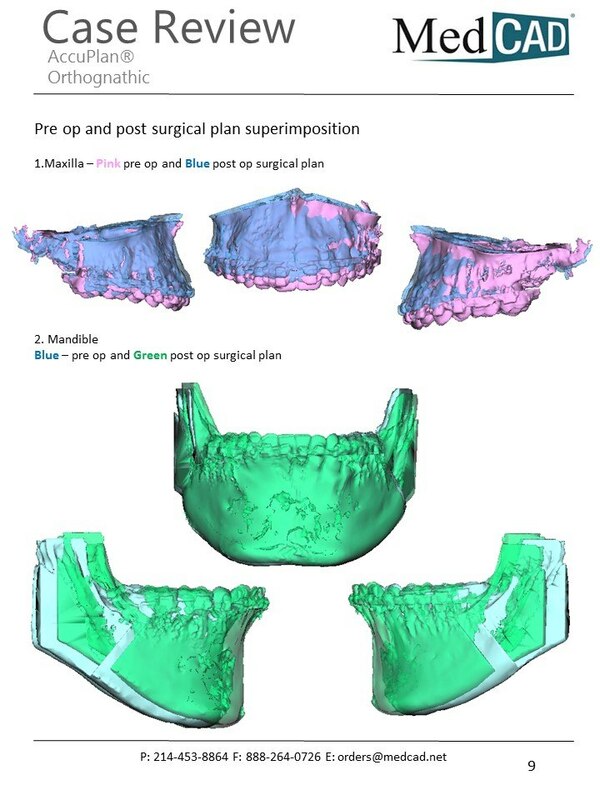 Surgeon profiles are built from surgeon input to streamline implant ordering and planning. Surgeon input is gathered through a brief web meeting or report review, then utilized to make regular planning meetings easy and quick for the surgeon. 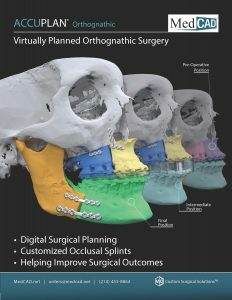 ACCUPLAN® Orthognathic Surgical Planning consists of a service to create patient-specific devices and surgical plans. 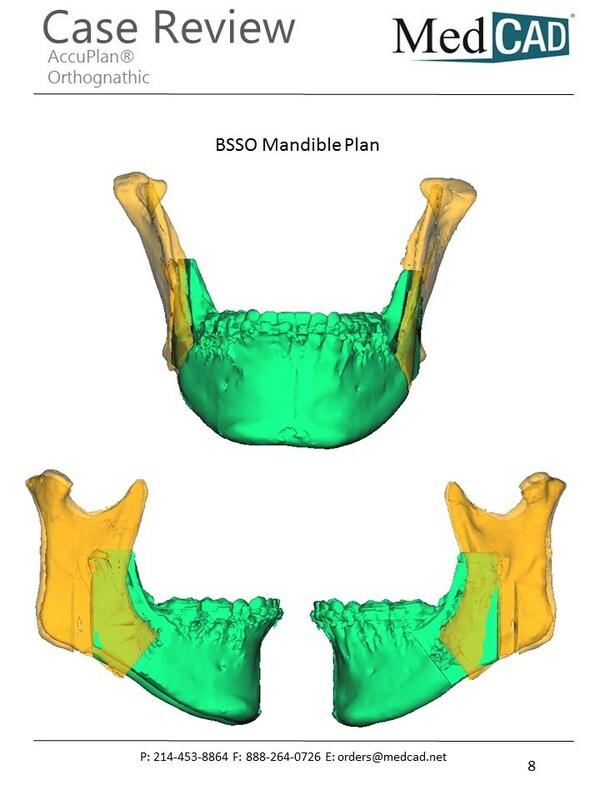 The integration of computer-aided design and individual patient anatomy contributes to more accurate surgical planning. 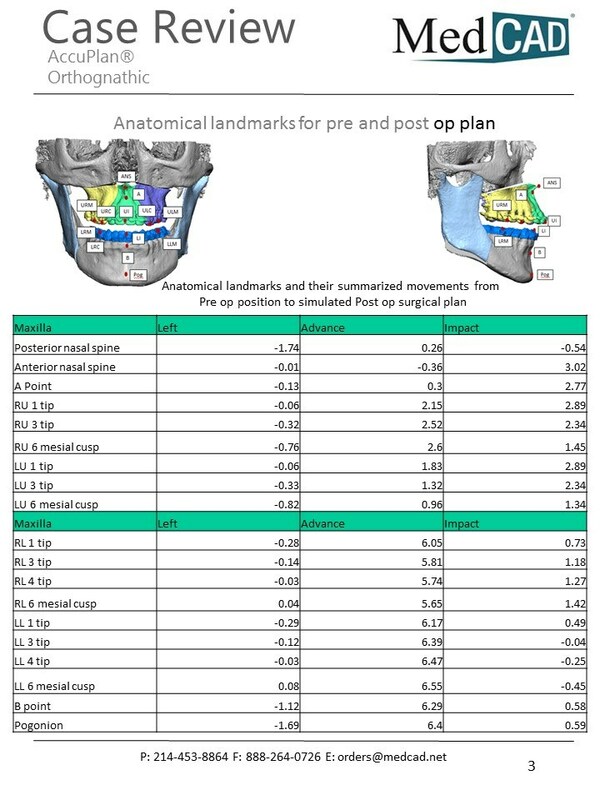 Customizable AccuPlan® kits assist the surgeon in creating an effective surgical plan for their patients. 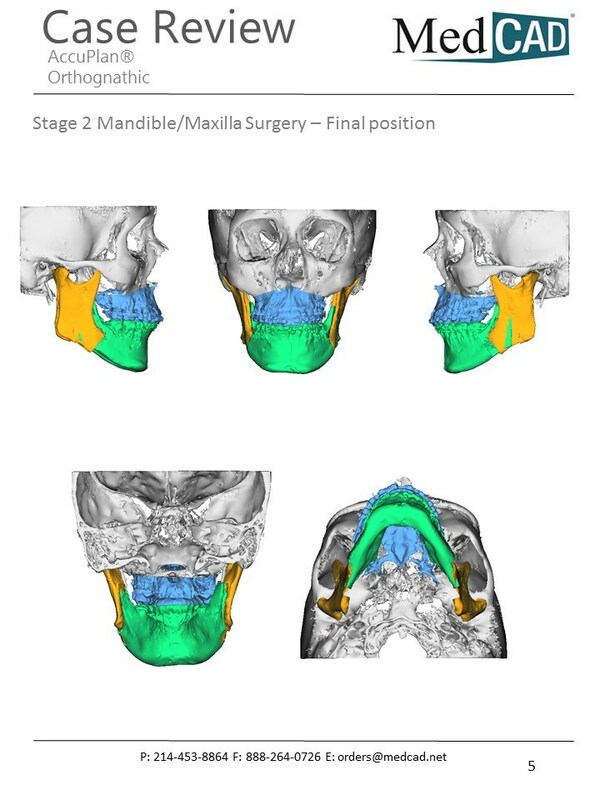 Virtually Planned Surgery gives surgeons the opportunity to visualize movements ahead of time before entering the operating room. 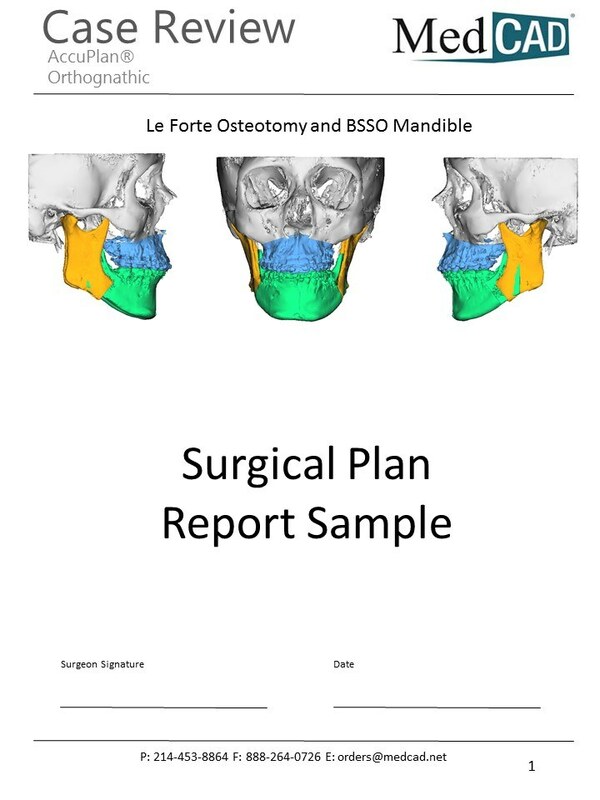 Set clinical objectives through surgical planning and use patient-specific final and intermediate splints to stage the positions necessary to take current anatomy and bring it to planned anatomy. 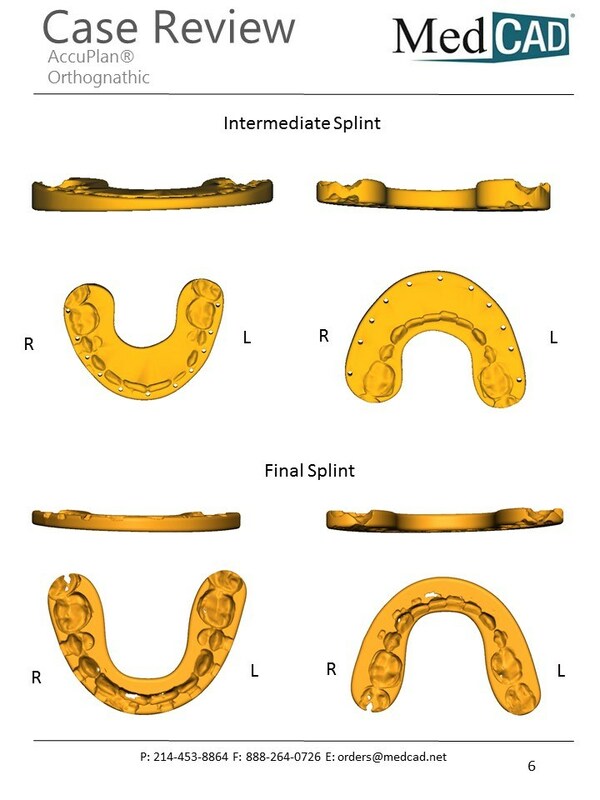 Choose a customized splint according to a surgeon’s clinical strategy and post-operative care intentions. Design Intermediate, Final, Palatal, Sandwich splints and more with a MedCAD clinical designer.